The only thing missing is fire! OK i have it lit now :-) all is well . but i have a question about the decal on it , its a foil backed decal with basicly no print left on it . i hear these didnt come with a decal but dont know for sure so i left whats left of the decal , should i or shouldnt i remove it ? was there ever a decal on these ? My ‘64 has an original decal. can i see it Mark ? i dont know what replacement i would be looking for . This is an 8/64. As found but still gets a place on the shelf. Since this is the CPR should em thread. Here’s my set too. My 639 and 247 CPR's... The 247 belonged to Chris Durbin and I feel very honored to own it. I got these from the original owner ,now retired from the CPR. He also included all the accessories he had with him at all times.! Sorry this took so long. I had to move some stuff so this had to come down for a bit . This came into the store a couple of years ago. New has never had fuel in it. One of my better pieces. Thought I'd bump this up with a CPR I just finished working on. Earliest date found of 1/49. 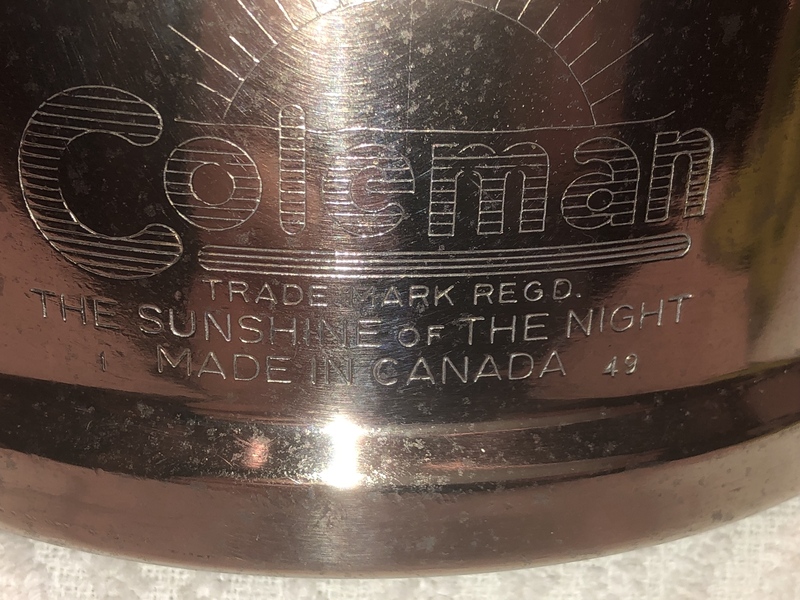 Came from an eBay seller in Ladysmith on Vancouver Island (sorry Shane and Mark) who said he picked it up at an estate sale. He was more than happy to take less than his BIN price. 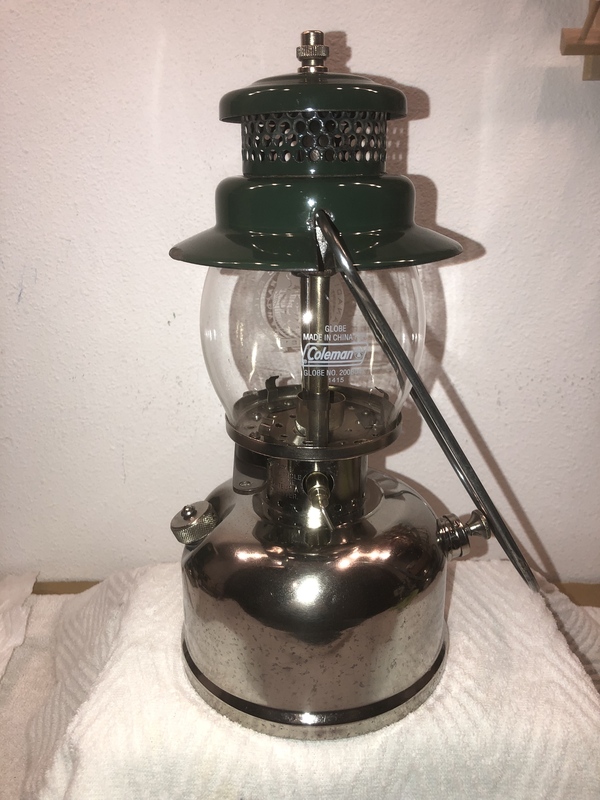 It needed some work and had a later valve assembly and an earlier pump cap, likely from an old stove with the insert cap. 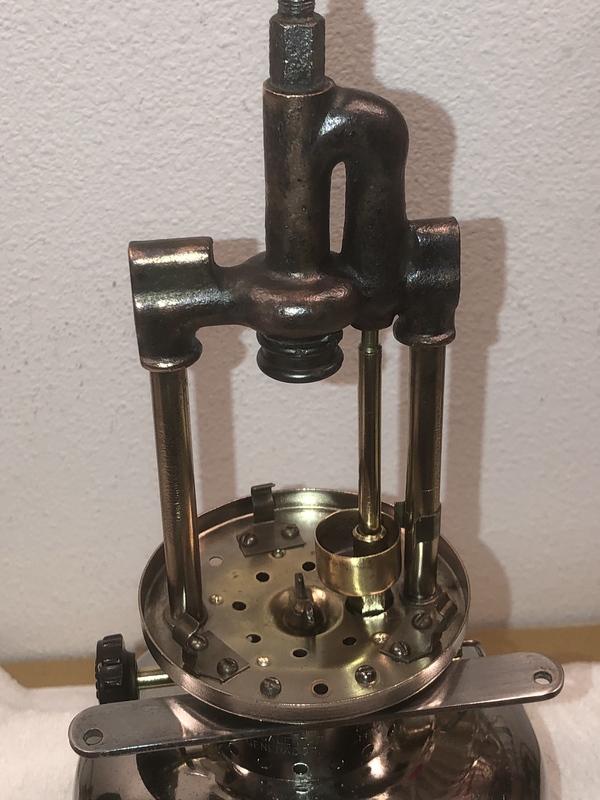 Thanks to Tony Webber for the correct valve and to Agostino for confirming the correct pump cap configuration, although I also found a post by Rubing of his 1/49. I had some old Canadian pumps and got a good pump cap to be correct. The globe is a Justin original that another member traded to me. The anti-rattle clips are from an early 50's CPR and the caboose bar was sold separate to me some time ago. 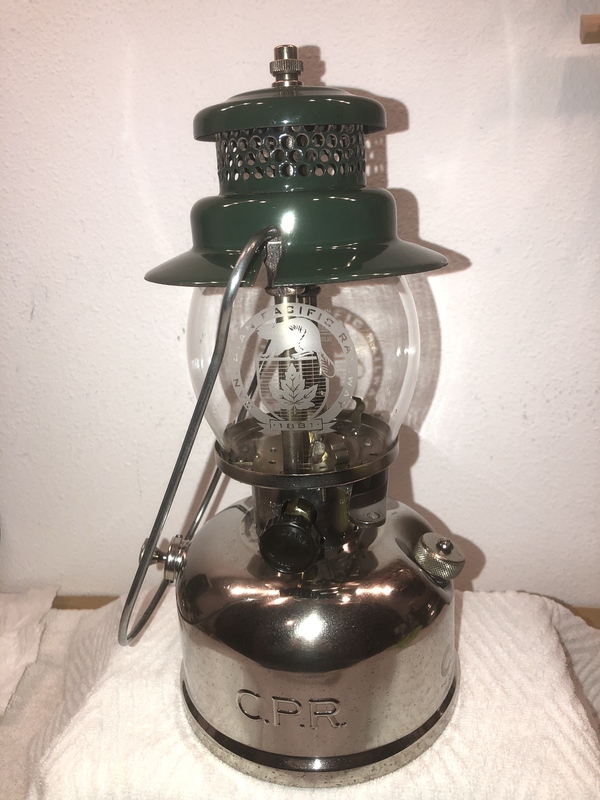 Some may scoff at adding/trading parts, but it happened all the time in the CPR maintenance shop to keep these running so I don't think a lantern that was used on the RR is ever going to be 100% original. Will have to give it a light when I get some more clean kero. Thanks for looking! Ron thats a really nice lantern. My good old 2/61 247 CPR. Does not seem so expensive now as when I bought it. Earlier post picture lost. CP Rail 639 1/77 and CPR 247 5/61. My 2/61 and Don's 5/61 may have met in the past. Let me add some supporting cast to the group. Some have seen this before. Not sure what the story is on this one but it appears as if it might have been stolen at one time maybe. I like the cover patch so it's staying. Nice little brigade there Darrel. Nice! My CPR 2/82 as can be seen in previous post # 71.